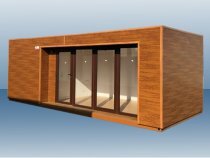 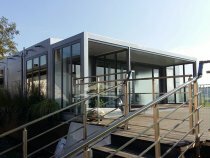 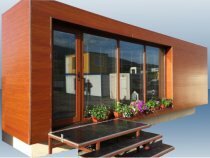 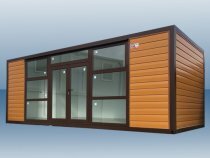 Office containers, container for office - office caravans, vans office of Top House. 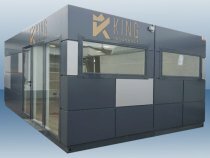 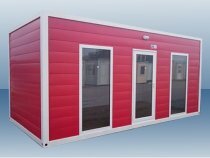 Our office containers are a practical solution for bargains on items from administrative types - offices, construction containers, kitchens, conference rooms, sanitary rooms and warehouse, temporary sites for specific needs (laboratories, meteorological stations) and others. 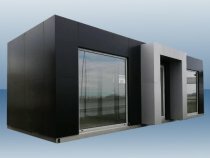 Office of containers is a mobile office, built on a platform with wheels - office van towed by a truck, office container on wheels, a trailer or shipping container built. 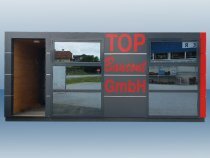 Most common are towing office containers, built on an iron frame - vans for easy moving. 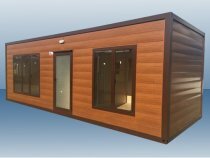 Mobile office containers often have construction sites or places of a disaster that need temporary office space. 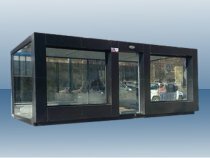 Typically, mobile vans offices have a single phase distributor (240V switchboard), which is associated with a close source of electricity for air conditioners and other like equipment. 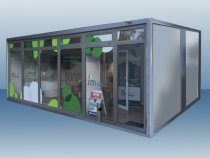 There are many companies that sell the lease at competitive prices, giving rent at low-price a new and used vans for office containers, portable containers or modular contajners. 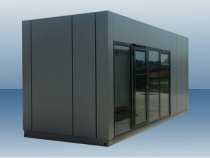 This type of construction shortens the period of construction, because containers assemble in offices buildings. 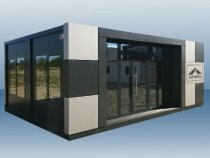 They are preferred because of lower costs and shorter deployment time. 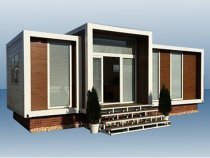 Many of the containers are at a price lower than the finished structure built with other labor-consuming means such as bricks and mortar, which requiring larger and more expensive investment. 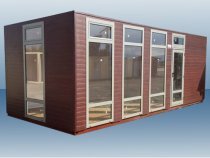 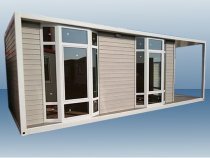 Office construction containers at low prices requires very little labor because only containers or vans for simple modification are used. 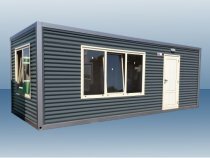 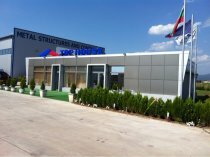 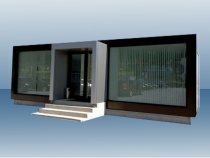 Any containers or vans for offices can be purchased at lower prices from major transport companies - for less than $ 1,200 USD to the container. 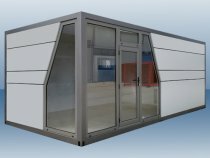 Mobile office van or container is used for the work place of sellers or working outside the office of their company employees. 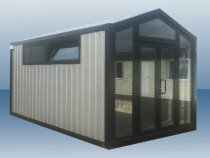 Office van equipped for sales usually has a laptop and is connected to the company''''s server or company''''s intranet via mobile phones, WiFi or wired connections in cybercafes, hotels, stations or airports.